Gauhar Raza’s talk on the effects of dissident poetry in times of establishment-imposed conformity and the role of the poet. Progressive poetry: Mere entertainment or something more? What rebel songs in these times of oppression will look like. With the budding popularity of poetic symposia – those organised by the government as well as private ones – what place do progressive and dissident poetry occupy in society and politics? What impact has the poetry of our classical poets had on the authorities in India? In these times, when our freedom of speech is under attack, what part does progressive poetry play? How does the progressive poem of today differ from that of previous eras? In this talk with Sohail Hashmi, we will try to answer one key question: How does a city come into being? Delhi, the national capital, is majorly full of migrants. Excepting the Jats and Gujars, it is impossible to find people who'd be native to this city. In its history, the city has seen everything, in a way that destruction and re-building have been a consistent part of the history of this city. Partition played a key role in shaping the city. The current urban character coexists with the histories that this city holds in its forts, monuments, gates, temples, mosques, etc. 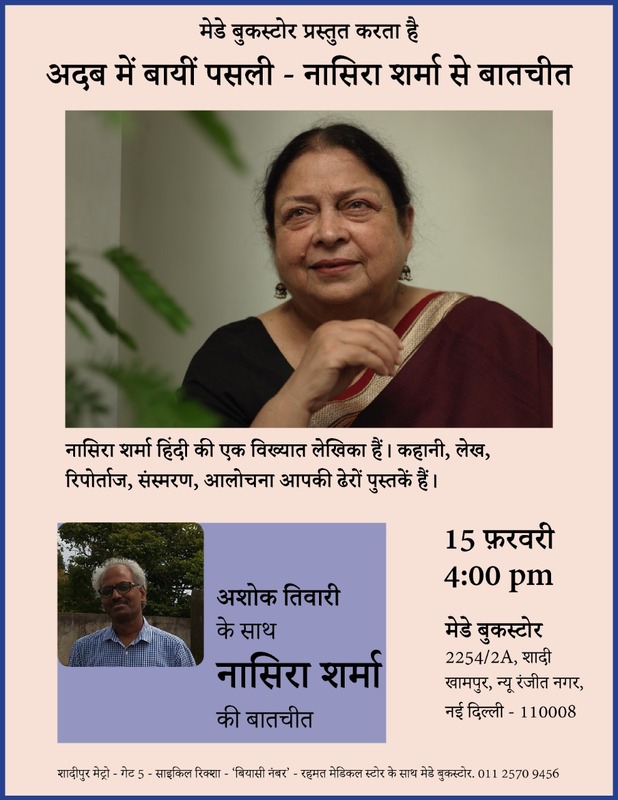 The entry point of this talk is the Delhi of the late-Mughal period, and by travelling through various junctures, we arrive at the present-day Delhi, a city which is run by its Metro. In this journey, we look at a broader and an essential question: How did Delhi come into being? What does Delhi's present retain of its past? In this city of migrants, is there any notion of a 'Delhi Identity'? If yes, what does this consciousness of belonging to this city constitute? 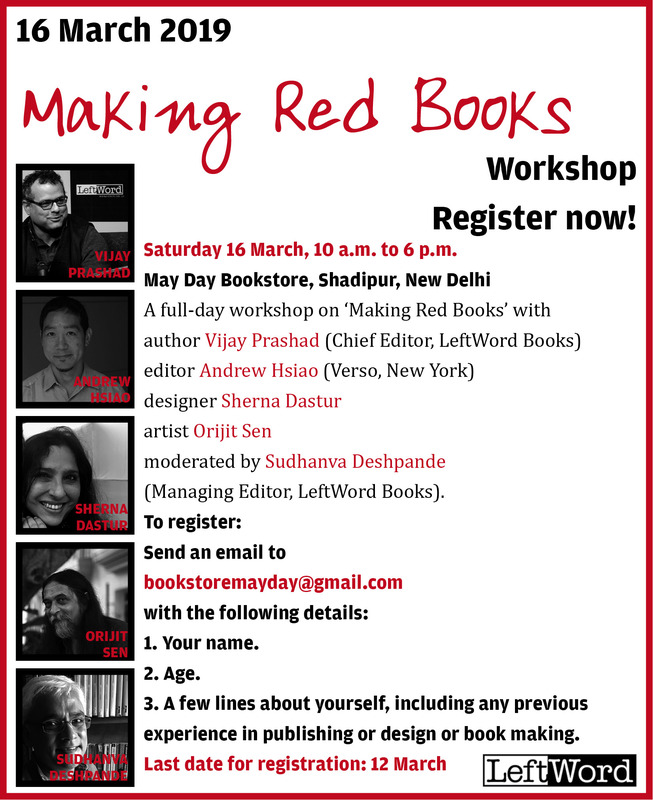 moderated by Sudhanva Deshpande (Managing Editor, LeftWord Books). This is a free workshop, there is no fee. Participation is strictly by registration. A few lines about yourself, including any previous experience in publishing or design or bookmaking. announcement of plans for International Red Books Day. 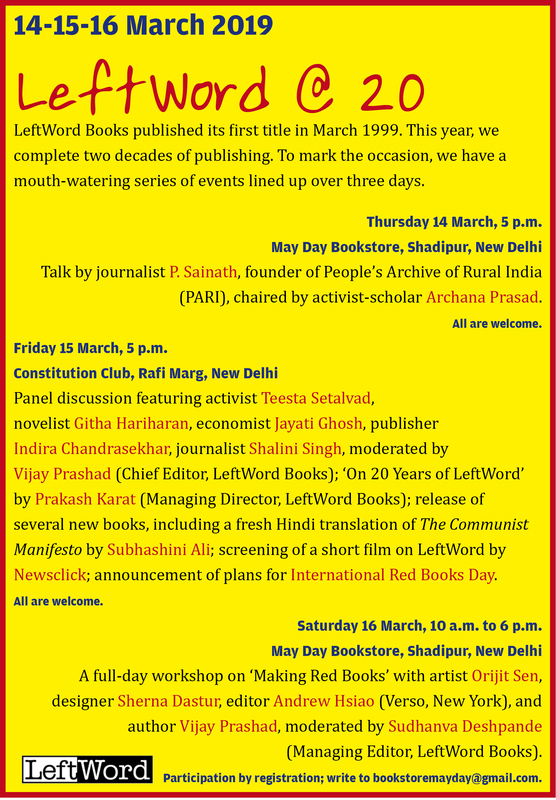 LeftWord Books published its first title in March 1999. This year, we complete two decades of publishing. To mark the occasion, we have a mouth-watering series of events lined up over three days (14, 15 & 16). 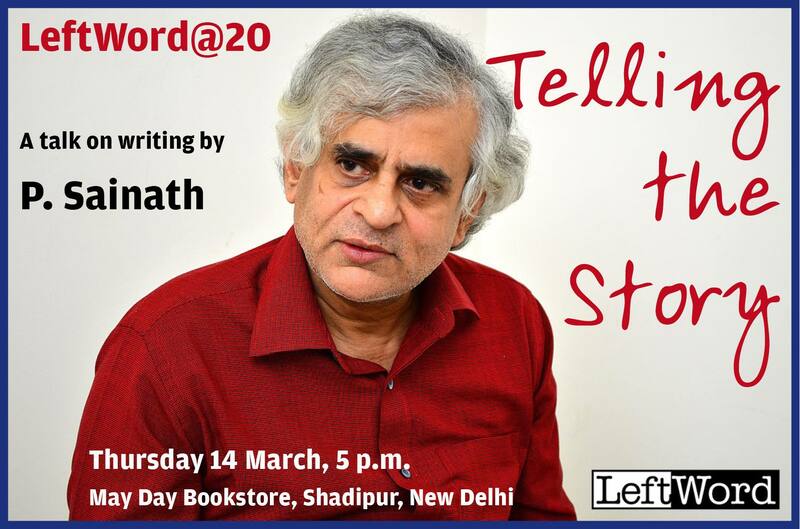 The first event in this series, ‘Telling the Story’ – A Talk on Writing by P. Sainath, founder of People’s Archive of Rural India (PARI), chaired by activist-scholar Archana Prasad. Palagummi Sainath (born 1957), one of India’s best-known journalists, is the founding editor of People’s Archive of Rural India (PARI) – an archive and living journal of the history of rural India. He has lectured and taught at various institutions, including the Asian College of Journalism, Chennai. Sainath is the author of the acclaimed book Everybody Loves a Good Drought on rural poverty in India. 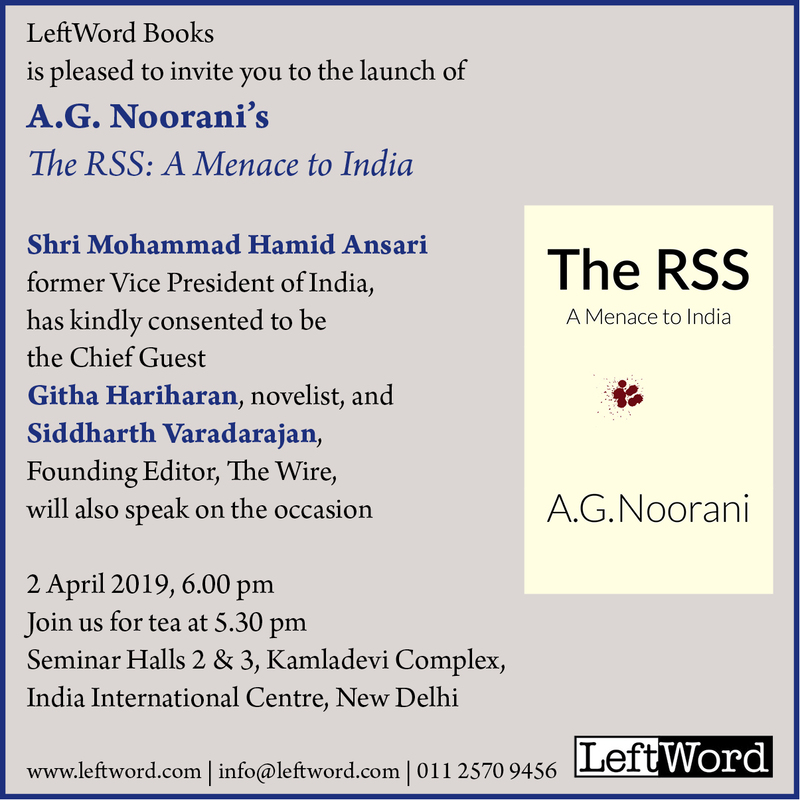 He has won over 40 global and national awards for his reporting (and turned down several, including the Padma Bhushan because, in his view, journalists should not be receiving awards from governments they cover and critique). In 2007 he was awarded the Ramon Magsaysay Award for his ‘passionate commitment as a journalist to restore the rural poor to India’s national consciousness’. Two documentary films on his work, Nero’s Guests and A Tribe of his Own, have received over 20 international awards. Sainath’s most important work from the past decade focuses on India’s agrarian crisis, with hundreds of exclusive field reports and news analysis and photographs. 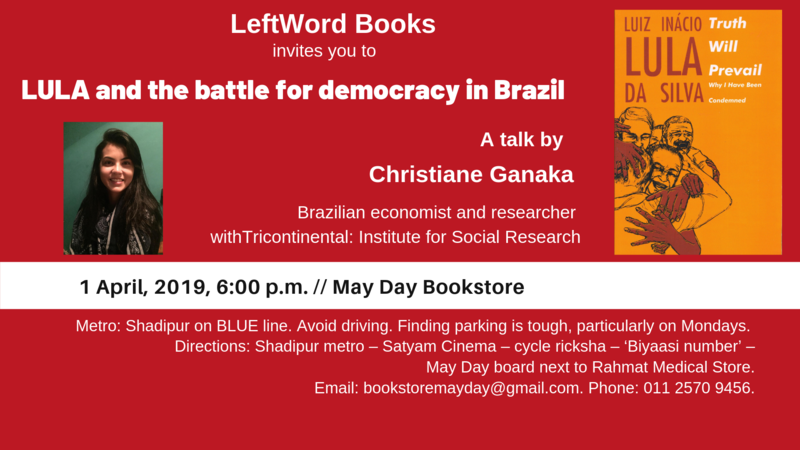 LeftWord Books invites you to ‘Lula and the battle for democracy in Brazil’, a talk by Cristiane Ganaka, Brazilian economist and researcher with Tricontinental: Institute for Social Research.